The Stimulite Contoured wheelchair cushion can generally be categorized as a honeycomb cushion due to its honeycomb-like structure. 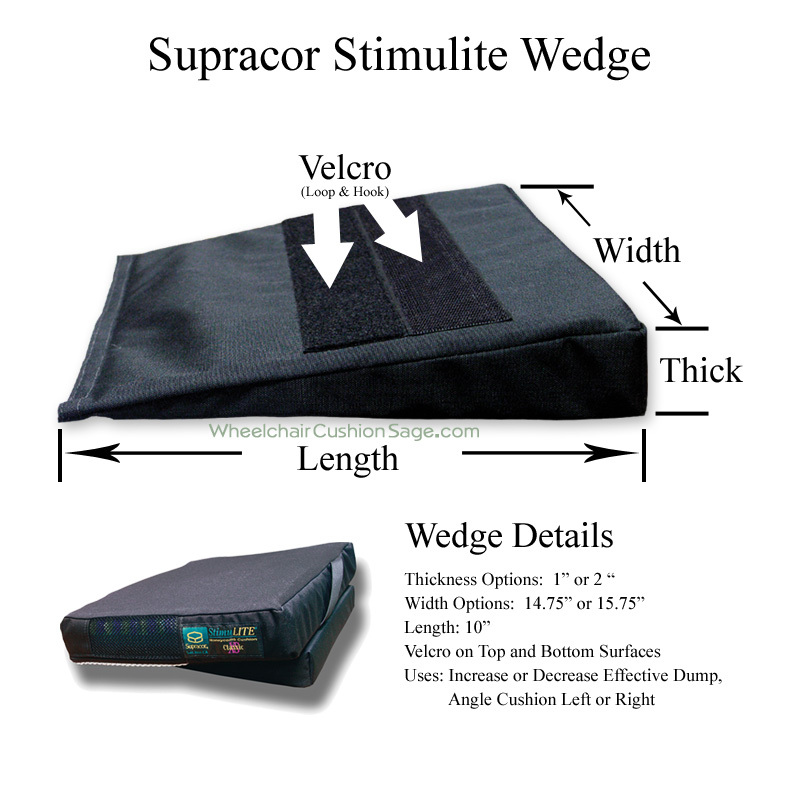 Supracor - the manufacturer of this product - provides the following details about this cushion. 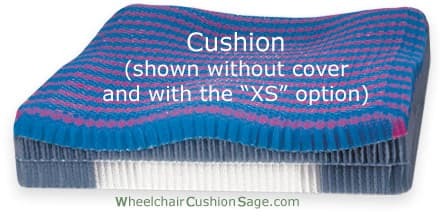 The extra cover option refers to purchasing a Stimulite Contoured cushion (with or without the XS and sling options) and the extra polyester cover at the same time (not separately). The extra sheepskin cover option references real New Zealand sheep skin that stretches in true four way stretch fashion (i.e., the cover stretches in the width direction and in the perpendicular front-to-back direction). The optional water-proof cover fits around the top and sides of the cushion in shower-cap fashion. If a custom taper, rail, notch, or leg cut is desired, complete and return the Custom Cut Stimulite form. Note that the back two corners are already inset a bit in Supracor's standard Contoured cushion geometry. Also note that custom tapers greater than one inch (the difference between the back and front widths) may adversely affect the Contoured's contouring. 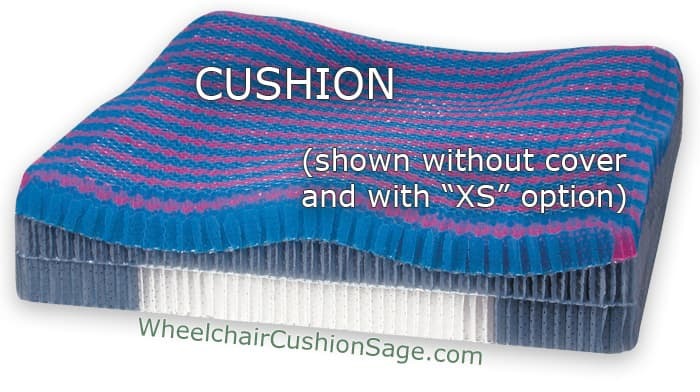 The Stimulite Contoured cushion is suitable for people who must use a wheelchair as a result of a spinal cord injury (e.g., paraplegia, quadriplegia or tetraplegia), stroke, or other disability.